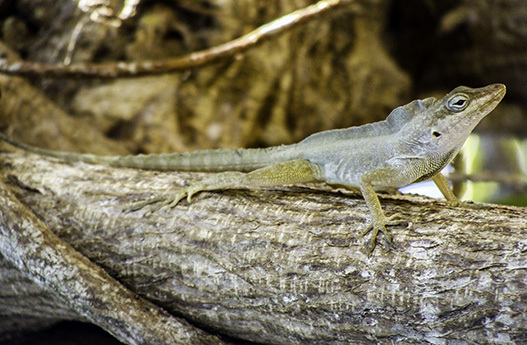 esecheo Island supports important populations of plants and animals found nowhere else in the world, such as the Desecheo Anole, Desecheo Ameiva, and Desecheo Dwarf Gecko. 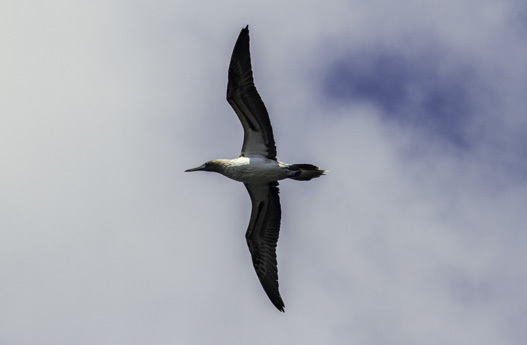 Before the introduction of invasive rats, the island hosted large colonies of breeding seabirds, including the world’s largest Brown Booby colony and an important Red-footed Booby colony. But, due to the destruction of native vegetation and predation on eggs and chicks by these invasive rats, seabirds no longer nest on Desecheo and many plants and animals are threatened. In response to this threat, the US Fish and Wildlife Service, Island Conservation, and other key partners, including the US Department of Agriculture, Bell Laboratories, and Tomcat, made the island safe once again for seabirds, the island’s endemic lizards, three endemic arachnids, and the federally Threatened Higo Chumbo cactus by removing invasive rats. In July 2017, one year after the final phase of this ambitious operation, conservation biologists confirmed that these predators are absent from the island, and the operation was declared a success. This project, the largest conservation operation of its kind to date in the region, enables the island to return to its former and rightful status: the most important seabird colony in the region. The refuge lost this status due to the presence of invasive mammals for almost a century. With the island free of invasive species, native plants and animals will once again be able to thrive in their natural habitat. Coral reefs in the Marine Reserve surrounding Desecheo (managed by the Department of Natural and Environmental Resources) are also expected to benefit from the island’s restoration; increased vegetation will reduce soil erosion into the sea, and the seabirds will provide valuable nutrients to the adjacent marine ecosystems. 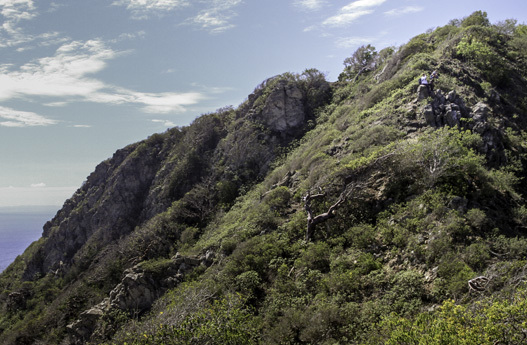 To restore Desecheo Island’s dry-forest ecosystem, protect species found nowhere else in the world (endemic), and recover seabird populations. Desecheo Island is inhabited by thousands of nesting seabirds and its native plants and unique reptiles are thriving. The U.S. 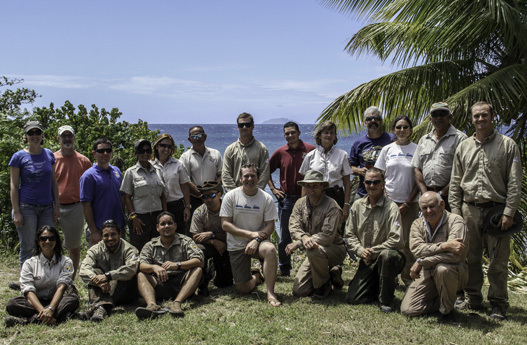 Fish and Wildlife Service and Island Conservation, with cooperation of the Puerto Rico Department of Natural and Environmental Resources, removed invasive rats that endangered the long-term survival of the native and endemic species on Desecheo Island. We will monitor the recovery of lizards and plants, and the anticipated return of at least six nesting seabird species to the island. Invasive rats severely degrade Desecheo Island’s dry-forest ecosystem, and virtually eliminated all nesting seabirds. RARE WILDLIFE For its tiny size, Desecheo Island has a significant number of endemic species found nowhere else in the world. It is home to the native, threatened Higo Chumbo cactus, three endemic lizards, two endemic spiders, and an endemic whip scorpion. 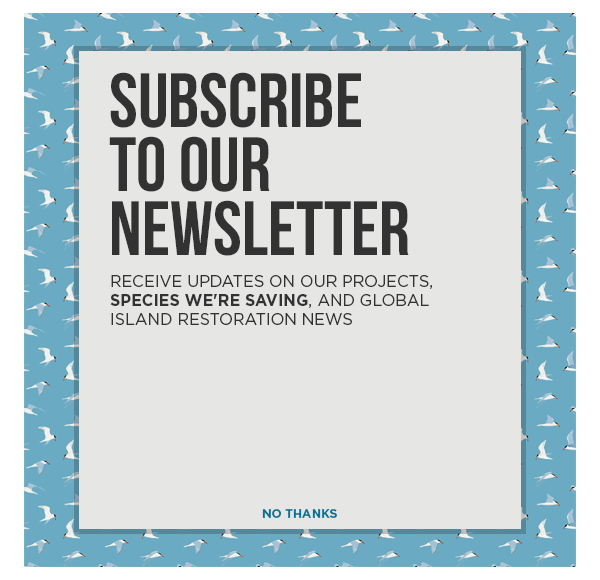 PROJECT GOALS This project intends to re-establish the island as a globally important seabird reserve, safeguard the future of the native and endemic reptiles, plants, and invertebrates, and restore the dryforest plant communities and ecosystem functioning. A dramatic return of seabirds and land birds is expected in the absence of invasive rats. This project also offers a rare opportunity to inform restoration efforts on other islands in the Caribbean. SUCCESS WORLDWIDE Conservationists have protected thousands of island-dependent species worldwide by removing more than 1,100 populations of invasive species from more than 700 islands. Rats and other rodents have been successfully removed from more than 300 islands worldwide, frequently resulting in rapid recovery of the native bird and reptile populations. 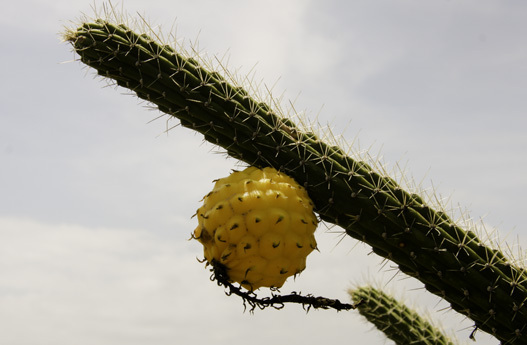 HIGO CHUMBO CACTUS During surveys in 2010 and 2013, the number of individual threatened Higo Chumbo cactus’ on Desecheo increased, due to decreased numbers of invasive browsing animals. Today, the cactus is flourishing. Wild populations of the cactus only exist naturally on two other offshore islands; Mona and Monito. RESTORING SEABIRD COLONIES Prior to invasive species, Desecheo was a major nesting ground for thousands of seabirds. Approximately 15,000 Brown Boobies, 2,000 Red-footed Boobies, 2,000 Brown Noddies, 1,500 Bridled Terns and hundreds of Magnificent Frigatebirds, Laughing Gulls, and Sooty Terns nested here. Jose Luis earned a MS in biology from the University of Puerto Rico, conducting research with the amphibians and reptiles composition in the Vieques National Wildlife Refuge at Vieques Island in Puerto Rico. Before joining IC in 2011, Jose Luis held various positions related to natural resources conservation, including working with Envirosurvey Inc, a conservation and wildlife organization based in Puerto Rico, conducting forest and wildlife assessments and outreach campaigns promoting conservation practices in partnership with state and federal governmental agencies. For two years he worked with to manage sea turtle nesting habitat and hatchlings and has conducted additional ecological work with amphibian and reptile species as a private consultant or volunteer. 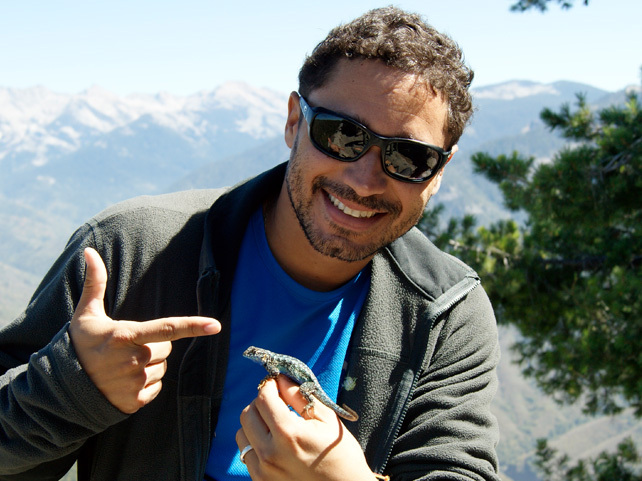 From 2009 to 2010, Jose Luis started working on Desecheo Island with the UCSC Conservation Measures Program, doing surveys for a single-island endemic gecko and assisting the ecosystem restoration project on Desecheo through the removal of invasive predators. At Island Conservation, he supports and leads various restoration work on islands such as Desecheo, Juan Fernández, Cabritos, Alto Velo, Antipodes and Mona for the benefits of threatened and unique species. Jose Luis is currently serving as the Point of Contact for the Island Conservation’s activities in Puerto Rico, the U.S Virgin Islands and the Dominican Republic.